Artist Vincent Van Gogh created this beautiful oil on canvas painting at Arles, Bouches-du-Rhône, France, in 1888. It measures 73 x 58 cm and is held in a private collection. 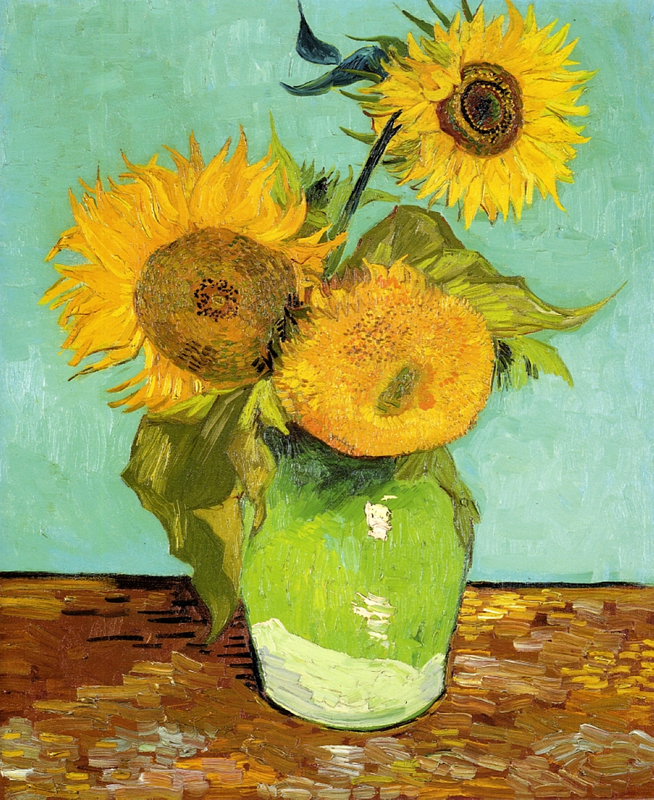 Posted in Artwork, Big Picture | tagged art, fine art, flowers, still life, sunflowers, Vincent van Gogh. The permalink.